Feel tense after a long, stressful day and looking to create a calm environment at home? Need some nature sounds for your meditation practice? 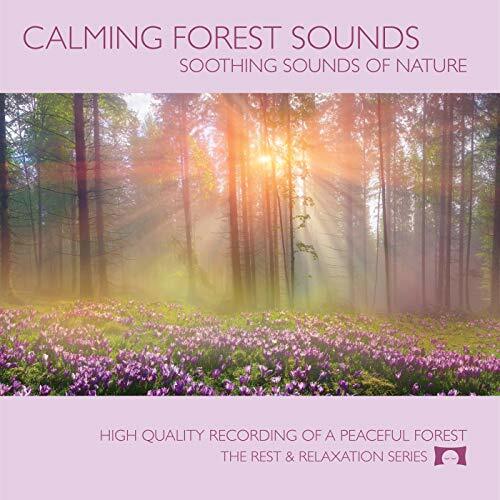 Relax to soothing nature sounds with the Calming Forest Sounds CD. The ONLY nature CDs created by a certified music therapist specializing in the use of sound to help reduce anxiety and stress. This premium-quality CD drowns out external noise as it slowly, gently relaxes you. You’ll feel peace and calm wash over you. PLUS – A percentage of profits are donated to Lucy’s Love Bus, a non-profit organization that provides FREE music therapy services to pediatric cancer patients in New England. What WON’T You Get? Distractions! If you love the sounds of nature – or if you simply crave peace and calm – order this CD right away. Plus, stock up for friends and family who love nature or who have trouble relaxing. Can’t wait for your CD to arrive? Download it now!